Over the years, the remarkable project: “A strong national identity – a strong European identity,” teaches young people to live in peace and cooperation, while sharing common European values. The 20th jubilee edition of the seminar is increased in scale. Project participants (200 in total) are young people from our historical diaspora in Ukraine, Moldova, Serbia, Macedonia and Bulgaria. Because of the young people’s great interest, participants from Romania, Albania and Greece will also join the seminar for the first time this year. They are well familiar with the Foundation’s activities and they expressed a wish to become part of its projects for European integration and establishing a network of friendships. The 20th edition of the seminar will focus on “Bulgaria 2017 – 10 years of EU membership, a period of challenges, opportunities and lessons learned” and will take place from 10 to 14 April 2017 in Varna. Over the years, the initiative involved more than 5,000 students. 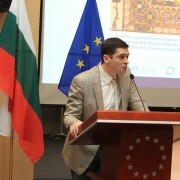 The seminar is co-financed by the Bulgarian Memory Foundation (main sponsor), the European Commission Representation in Bulgaria and the Municipality of Varna. The massive initiative dedicated to 10 years of our country’s membership in the EU will be attended by ambassadors, representatives of European institutions and local governments, NGOs, business and the media. The official language is Bulgarian. The event will be attended by: His Excellency Mr. Stefan Gorda, Ambassador of the Republic of Moldova in Bulgaria and His Excellency Dr. Mykola Baltazhi, Ambassador of Ukraine in Bulgaria, Admiral Boyan Mednikarov, Rector of Nikola Vaptsarov Naval Academy, representatives of the universities in Bulgaria, public figures, friends of the Bulgarian Memory Foundation. By the forum “A strong national identity – a strong European identity” that we have been financing and organizing with great pleasure for 10 years now, we build bridges of economic cooperation, implement the European values in practice by teaching young people to live in peace and agreement. We are in search of the common things together, we speak the same language and share the same values. We are trying to be the bearer of European integration in action. Successful people teach their formulas for success, we teach the children positivity and creativity and, which is most important, we meet hundreds of young people from our historical diaspora who bear Bulgaria in their hearts“, thus Dr. Milen Vrabevski, founder and chairman of the Bulgarian Memory Foundation summarized the organization of the 20th Spring seminar, Varna 2017.
http://comac-medical.com/wp-content/uploads/2017/02/16865228_10155102641784031_8219992997456729095_n.jpg 622 922 comacmedical http://comac-medical.com/wp-content/uploads/2019/04/Comac_web_logo_60.png comacmedical2017-02-28 12:39:482017-03-20 11:32:57"Comac Medical" receives award in the annual competition "IT project of 2016"
On February 22, 2017 in the Sofia gallery “Nirvana” a special ceremony for the award of “Father of the Year 2016” took place. 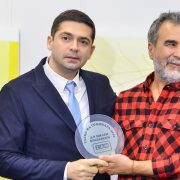 In the presence of famous artists, musicians and business representatives and in the artistic atmosphere of the gallery, Dr. Milen Vrabevski, chairperson of the Bulgarian Memory Foundation, took the award “Father of the Year 2016”. 17 eminent personalities from the fields of business, art, culture and science were chosen to compete for the award “Father of the Year 2016”. The prize is given for the fourth time and is intended at encouraging charity activities of people with proven attitude towards causes related to children and child development. 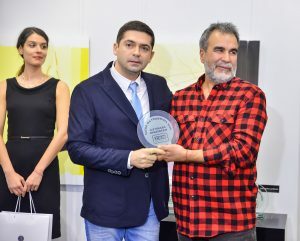 The award was presented to Dr. Vrabevski by the artist Vihroni Popnedelev and the other winners of the title are the actor Darin Angelov, the organizer of charity events Kalin Uchindolski, the meteorologist Zahari Dimitrov and Deo. Amongst the previous winners of the prize “Father of the Year” are Dr. Valentin Pavlov, Niki Kanchev, Ditcho, Father Ivan and Father Gregory of Novi Han, the frontman of the “Konkurent” Emil Antchev, the actor Nikolay Nikolaev – Bate Nikolai, the engine driver-hero Dimitar Hristov. http://comac-medical.com/wp-content/uploads/2017/02/GBO_1229-feat.jpg 642 1250 comacmedical http://comac-medical.com/wp-content/uploads/2019/04/Comac_web_logo_60.png comacmedical2017-02-24 13:02:082017-03-14 08:16:09Dr. Milen Vrabevski with award "Father of the Year 2016"
Through the daily rush, focused on tasks and deadlines, we often fail to appreciate our own achievements. And the truth is – we all did great! It was a remarkable year in any sense. 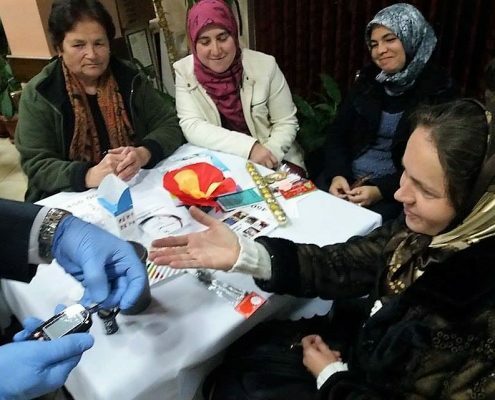 As a part of my team, you do not only contribute to the realization of our strategic vision – “Innovations for better health”. You are the engine for the implementation of all activities, organizations and causes, in the field of education, knowledge economy, young talent support, social inclusion through entrepreneurship and innovation which improve people’s lives and environment. 20 years after its establishment, Comac Medical is a leading regional scientific organization in the field of clinical medicine, with activities in 21 countries. We proudly celebrate our anniversary! Our company reinvests 74% of its net sales revenue in Research and Development. 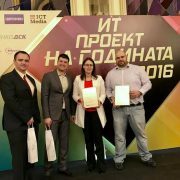 As a result, last year we received the Award “PYTHAGORAS” of the Ministry of Education and Science in the category “Company with the biggest investment in scientific research”. It is indicative that we are the only company nominated in this category. No other was able to meet the EU criteria in this field. Now, we are facing even bigger challenges than 20 years ago. However, in a difficult, competitive environment, we maintain our sustainable growth and social orientation. Our program for Corporate Social Responsibility is expanding. We became an integral part of our society progress. In the last 2 decades, we have gained unique knowledge and skills. Science is our driving force. The main difference between us and shareholder multinationals, however, is our value added to the development of the society. We are a factor in its growth, not just a source of income for a few people. Modern medicine is impossible without innovation, so our company is constantly applying innovative practices. The investment in innovative products is an integral part of the company’s growth. In this respect, our qualification for Horizon 2020 beneficiary is a unique success. It came as a result of our team motivation, expertise and ambition to gain knowledge. This recognition also shows our training and ability to execute projects under the Horizon 2020 European Program for Research and Innovation, and the European structural and investment funds. We prove that we are able to generate significant economic innovations that affect global healthcare in a highly positive manner. 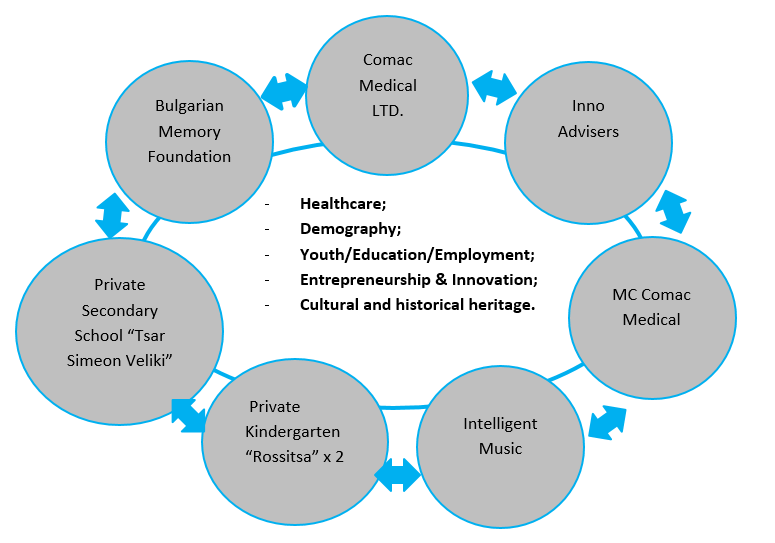 As a result, we received assessments by the European Commission that we are ‘’…among the most innovative companies’’ which is ranking us among the so-called “Growth Champions” and showing evidence of positive innovative management /58%, above the average score of 54%, European Commission instrument report to assess the innovative potential of companies (IMP³rove Assessment Report) /. As a beneficiary of the Small and Medium-Sized Enterprises Instrument of Horizon 2020 we helped Bulgaria to emerge on the map of the program. We were among the very few companies from the region that made it to the top with successful projects since the beginning of the program period. The European Commission recognized us with a Seal of Excellence. Another piece of great news in recent days is that in the medium-sized enterprises category, 36 companies were approved under the Operational Program “Innovation and Competitiveness”, where Comac Medical project was rated in the first place. The latter is envisaging implementation of automated innovative method for data collection and management. For us as a team, the motivation for this collective effort is the perspective ahead – to gain a competitive advantage and increase our market share in Europe. Therefore, dear colleagues, please do not stop improving your skills and knowledge, keep learning and striving to know more because the active, inquisitive, thinking people who are open to the new rhythm of the surrounding world, with imagination and ingenuity, are the “heart” of COMAC and the related organizations and companies! We proudly present our ownership and its value added to the society. As for the company development, very soon our SMO we will become a separate entity. In 2016, the number of students benefiting from our training courses to apply for university – in Bulgarian language and literature, mathematics, biology, English language, history, geography and more, reached 540 from a total of 15 small towns and villages. 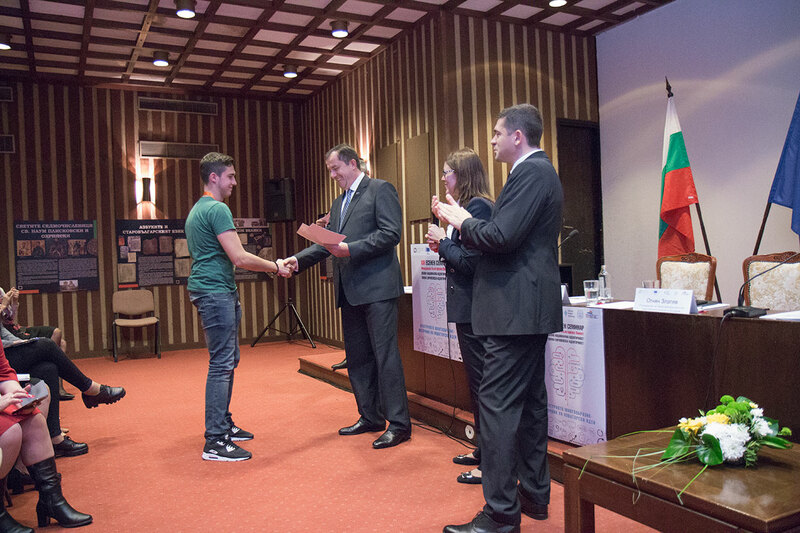 Over 85% of them successfully qualified to study at universities in Bulgaria and Europe. For this year – again a record: 580 children from 16 villages have been enrolled. For the ten years of activity of our organization, over 5,000 children have participated in the emblematic for our Foundation seminars “A strong National identity – a strong European identity”, thanks to which in 2013 we were awarded with the Citizen’s Prize of the EU Parliament. 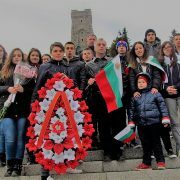 Many of those kids have chosen to continue their realization in Bulgaria. We managed to successfully organize and implement four projects co-financed by the Erasmus+ Program of the EU. One of them, “Youth Forum for Entrepreneurship and Demographics” was awarded with a quality mark by the Center for Human Resources Development and the Ministry of Education and Science. The number of young people participating in the projects of the Foundation for 2016 is 1170. A large part of them is coming from our traditional historical diaspora from Ukraine, Moldova, Serbia and Macedonia, becoming a kind of ambassadors of European integration. It is our own duty to spend time, energy and skills to the benefit of the people and our country. So I accepted the award “Apostle of the Bulgarian National spirit” as a recognition of a well done job by all of us. It was awarded by the unanimous vote of the 80 members of the respective Advisory Board. I also accepted the invitation to join the newly formed Public Council of the Bulgarian National Radio as another high praise for the successful activity of the Bulgarian Memory Foundation over the years. And it is your Foundation, as well. We sponsored the only country celebrations of 2 glorious anniversaries of our historical past: 830 years of the uprising of Asen and Petar, and 1300 years since the first European interstate agreement with trade clauses (Tervel-Bulgaria/Theodosius-Byzantine Empire, 716 A.C.). The events were organized by the University of Veliko Tarnovo, our-long lasting and successful partner. Along with the achievements in education and the belief that a healthy society is a successful society, we expanded our activities in social support and assistance. We have successfully completed all cycles of “The Big Family” campaign under the patronage of the President of Bulgaria. It included full support of two large families from the town of Godech and the village of Dabene. We also continued to support good students from poor families in Western Bulgaria and the Rhodopes (130 families). We supported more than 20 families with children suffering from diabetes in Southwestern Bulgaria, Ruse and Karnobat. We funded and organized a conference with topic “Autism and developmental disorders”, which took place for the first time in Bulgaria. One of the world’s best experts in this field, Prof. Harry Schneider, trained Bulgarian doctors and speech therapists to implement the innovative method to treat children with autism and developmental disorders. 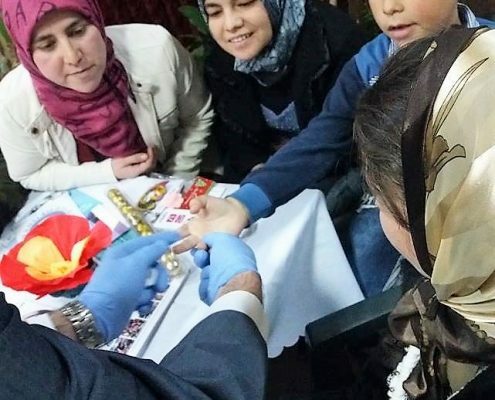 We sponsored the treatment of 7 kids by Prof. Schneider, and equipped a Medical center in Varna to adequately apply his expertise in the future. We keep investing in autism treatment throughout this year. 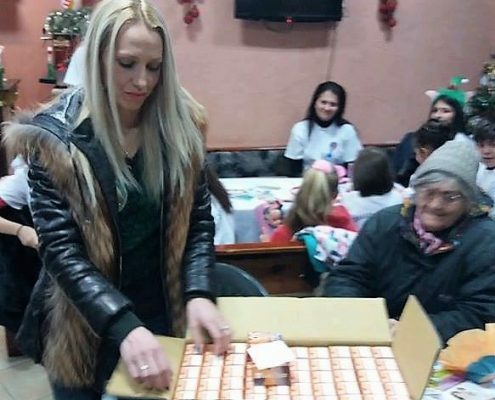 On the eve of Christmas Holidays we also started our support for an orphanage in the town of Berkovitsa. We should be proud of the achieved both professionally and socially. The value added to lives of people around us is our motivation to go further. Please accept my kindest wishes for another successful year – 2017, and the years ahead, to you and your families! 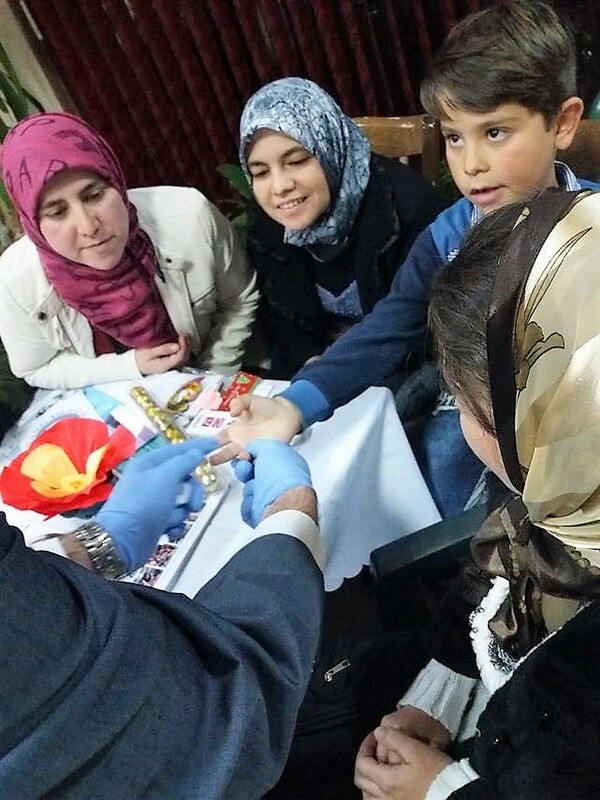 Within a few months, more than 20 children from Southwestern Bulgaria, Karnobat and Rouse received blood glucose measuring devices and supplies for them as a donation. 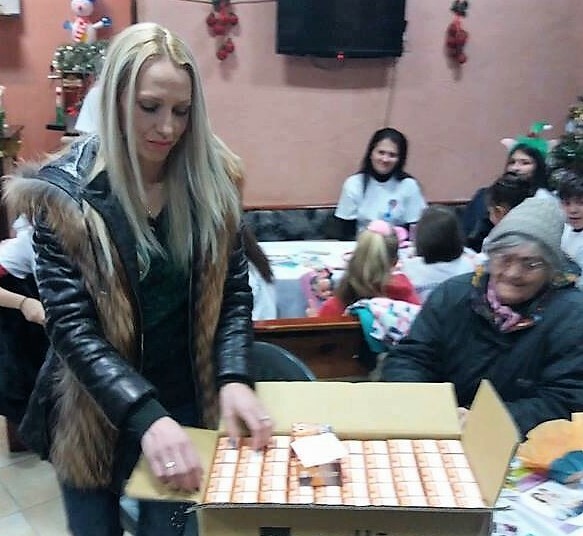 Two days ago another donation reached families with children suffering from diabetes from the municipalities of Razlog, Bansko, Yakoruda and Gotse Delchev. 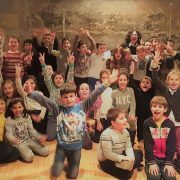 The donation initiative is part of the long-lasting activity of Dr. Vrabevski associated with the support of young people in Bulgaria and care for their better growth and development. 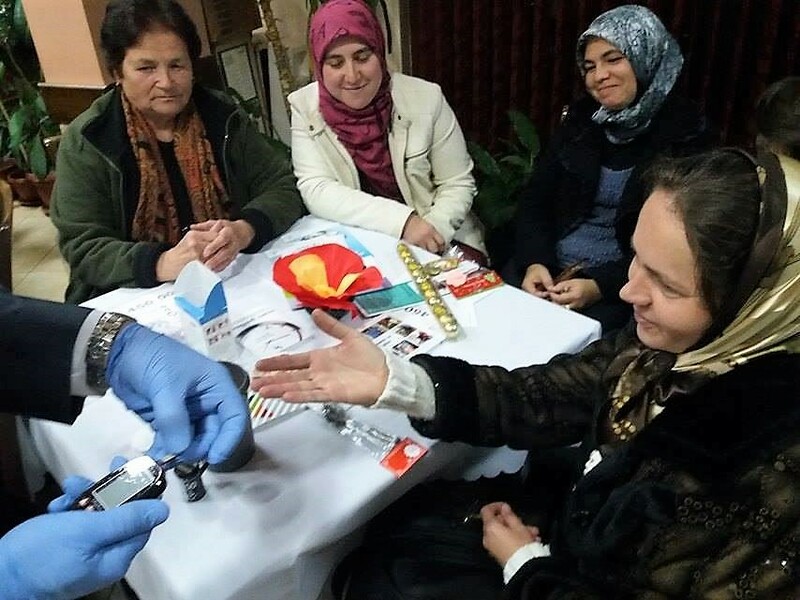 Partner in this work is the team of the association “Diabetes without fear.” Thanks to these donations dozens of families receive vital support and confidence that they are not alone in the struggle for their children’s health. Dr. Milen Vrabevski and the team of the managed by him research company “Comac Medical” will continue to support causes related to the health of Bulgarian children.